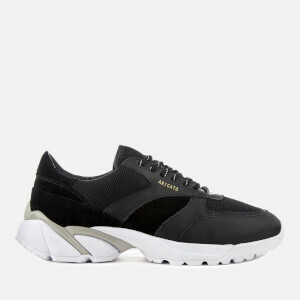 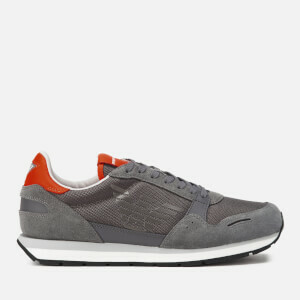 The ‘Rappid’ trainers from PS Paul Smith are presented in a technical nylon mesh upper for ultimate flexibility and ventilation. 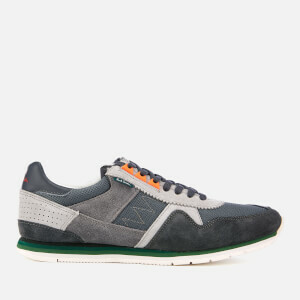 The grey sneakers feature a lace-up fastening, a heel pull tab and signature coloured side stripes. 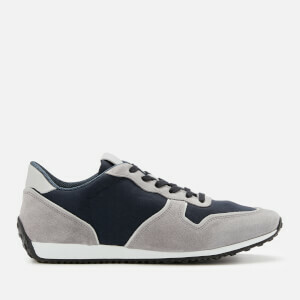 Set upon a two-toned rubber sole, the shoes are completed with logo detail to the heel.